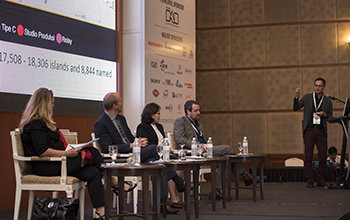 After welcoming and hosting over a thousand delegates from around the world who learned, networked and gained valuable industry insight, ABU’s highly successful three-day DBS has ended today in Kuala Lumpur. The event saw exhibitors, speakers, panel discussion members and business leaders meeting and discussing topics ranging from using the latest make-up techniques in a high definition TV environment, to the latest in satellite broadcast technology. The lessons-learned, friendships and partnerships reinforced during the event will provide long-lasting benefits to exhibitors, participants and speakers. Participants took away valuable insight and information highly relevant to their industry and professions. Building on the success of the DBS event in 2017, this year’s DBS exceeded the number of participants from last year. The next ABU DBS will be held 4-7 March 2019 in Kuala Lumpur.